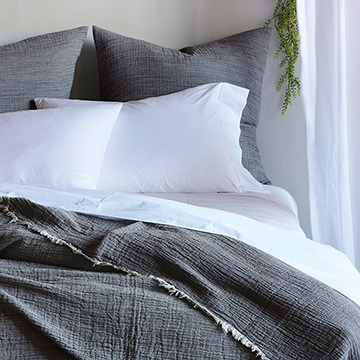 Juliet embodies the elegance and luxury of fine Italian linens. 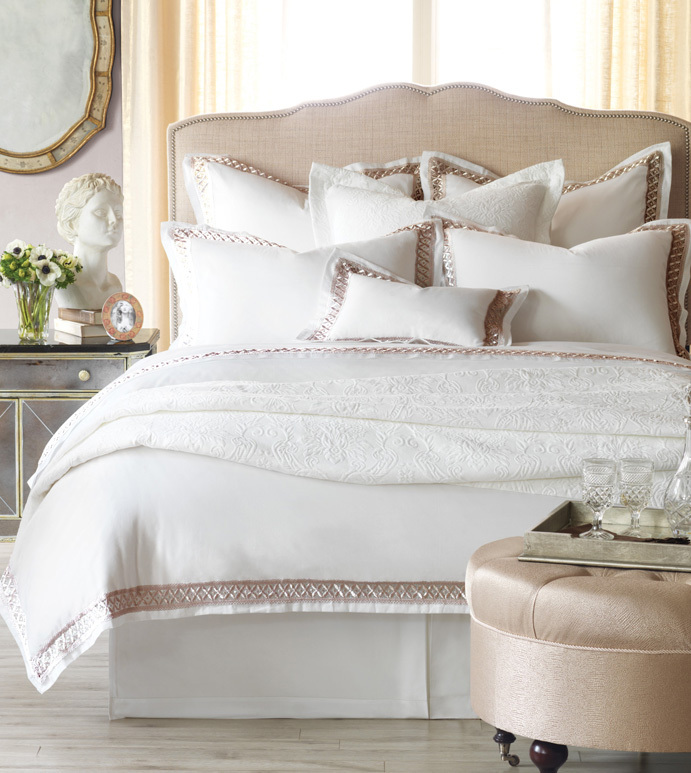 The sumptuous 300 thread count sateen and exclusive lace detailing create heirloom quality linens that will last for years to come. The exquisite lace in soft shades of fawn and ivory lends a delicate, feminine air to Juliet for a truly romantic feel.